James Styles was born in Croyden, Surrey, in 1841. In 1849, his parents, William and Harriet, née Friend, migrated to Victoria. William, who had been involved in railway building in England, worked as a contractor of roads and bridges. James was educated at various Melbourne schools, including St James’ Church of England School in William Street. He was then employed by a railway contractor and subsequently qualified as a civil engineer, becoming a member of the Victorian Engineers Association and a life member of the Society of Civil Engineers, London. For a time, he and his father worked together in Queensland, and were well known as contractors for street and sewerage works, and as the builders of railways from Brisbane to Ipswich, Toowoomba and Dalby. On 23 February 1865, James married Teresa Dignam in the manse of the Presbyterian Church in Rockhampton. They were to have two daughters, Teresa and Maude, and one son, James. Styles returned to Melbourne in 1871 and, as a member of the firm of Styles, Murray and Company, was involved in building railways from Seymour to Benalla and from Oakleigh to Bunyip. He was then appointed resident engineer by the South Australian government and was in charge of building several railways before he moved into contracting for government works in water supply and sewerage. In 1883, Styles obtained contracts with the Melbourne Harbour Trust and the Victorian Department of Public Works. He settled in Williamstown where, in 1885, he was elected to the Williamstown Municipal Council. He did not stand for re-election in 1888, but in 1889 unsuccessfully contested the Williamstown seat in the Victorian Legislative Assembly. In 1890, he was elected as the local representative on the Melbourne Harbour Trust and re-elected to the Municipal Council. In the following year, he was chosen as the Council’s representative on the Metropolitan Board of Works, becoming vice-chairman of its important sewerage committee. He was a member of the Victorian Board of Public Health from 1896 and for fourteen months acted as its chairman. 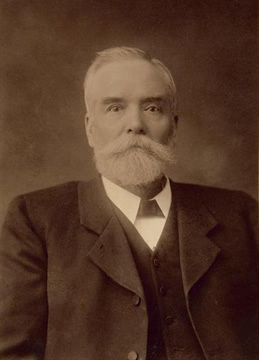 In the 1892 Victorian Legislative Assembly election, Styles made a second unsuccessful attempt to win Williamstown. In 1893, he was re-elected to the Harbour Trust and unopposed for the Municipal Council. Table Talk claimed that in August 1894 it was suggested he should be mayor of Williamstown but that he was not interested. In September 1894, he was elected to the Legislative Assembly with the support of the United Labor and Liberal Party, the Protectionist Association of Victoria and the Civil Service and Railway associations. Styles was re-elected to the Assembly in 1897, but in 1900 he was defeated by A. G. C. Ramsay, a leading Orangeman. The Melbourne press agreed that the defeat of Styles was the greatest surprise of the elections and attributed it to division amongst the Protestant forces in Williamstown. When Styles took his seat in the Legislative Assembly, he was a recognised authority on railways (with experience in three colonies) and on other public works, particularly sewerage. In 1871, he had won first prize in a Sydney competition for an essay on water supply. He had given public addresses to the Victorian Engineers Association in 1886 and to the Williamstown branch of the Australian Natives’ Association. The latter published his address in 1888 on sewerage reform in Melbourne. In the Assembly, his committee service included serving as a ministerial nominee on the standing committee on railways. Commentators agreed that he took his parliamentary duties very seriously. In 1895, Styles opposed the Turner Government’s legislation transferring the management of Victoria’s railways to a trust. The Premier ordered that the speech, which showed an expert knowledge of Australian railway systems, be reproduced and 5000 copies distributed throughout the colony. In Parliament, Styles was a constant critic of anything he perceived as extravagant government expenditure, including high salaries for administrators, but believed workers should be paid reasonable wages and that minimum wages be specified in government tenders. He saw the calling of tenders as the only way of ensuring efficiency in government works. He was critical of government delegating control over revenue and expenditure to public authorities, unless their members were elected by taxpayers. He stressed the need for local government bodies to have complete financial independence and responsibility and to receive no subsidies from the Parliament. Chosen by the Protectionist Association of Victoria as one of their nominees for the Senate, Styles described himself as an ‘ardent federationist’. Elected in 1901, and becoming one of the first three-year term Senators, he again railed against government authorities, opposing early planning of the federal capital and the transcontinental railway. He considered there was no immediate need for the High Court. He ridiculed the proposal to elect the Senate by proportional representation as ‘abstruse and complicated’, but showed himself well acquainted with the literature on the subject. He believed that public employees should not be barred from political activity and was utterly opposed to the creation of a public service board. Styles became conspicuous in the Senate as the chief spokesman for Victorian protection. He loved to compare (with lots of statistics) the development of New South Wales and Victoria, arguing that the former benefited not from free trade policies, but from its larger area and its ability to raise revenue from land sales. He sparred with Senator Pulsford, a leading New South Wales Free Trader. In the long debates on the first Commonwealth tariff, Styles spoke on most items and constantly attempted to lift the tariff to Victorian levels, declaring: ‘This is a revenue Tariff and not a protective Tariff. Honorable senators opposite are . . . proud to think that they have succeeded in destroying some Victorian industries, and that hundreds and thousands of men will be thrown out of employment in the next year or two in consequence of their action . . . ’. Later, he opposed proposals to help northern sugar farmers, asking who would compensate Victoria for the ruin of her industries. At the 1903 federal election, Styles came fourth in the Senate poll and was elected to the place left vacant by the death of Senator Sargood and the subsequent resignation of Senator Robert Reid. In the second Parliament, Styles accused the Prime Minister, George Reid, of raising the socialist bogy to avoid fighting on ‘Free Trade versus Protection’. On one occasion, he even felt the need to justify his frequent criticisms: ‘I am sorry that I shall have to oppose the Government in so many of these little matters. Of course we know that we who oppose them in the Senate cannot turn them out . . . I certainly have no desire to displace the Barton Government. But . . . I am not going slavishly to follow the Barton, or any other Government . . . ’. After Federation, Styles appears to have completely changed his mind on the federal control of railways. In August 1897, when the draft Constitution was being debated in the Victorian Legislative Assembly, he had declared his hope that ‘the railway system of this colony’ would not ‘pass out of our hands into the hands of an irresponsible central authority’. But in 1902 he told the Senate that it was ‘fair to assume that the railways will be federated’, pointing out that the associations of drivers and firemen had already federated. In 1905, he moved that ‘the State-owned railways of Australia should be transferred to the Commonwealth with as little delay as possible’. He listed the advantages which would stem from federalisation, adding that in his opinion the Commonwealth Parliament could carry out such work ‘much better than do the States Parliaments’. Styles’ motion was never voted upon. James Styles was one of the most practical, experienced and hard-working members of the first Senate. He was described as ‘above the middle height, symmetrically built, having a fair, clear complexion, and wearing a short, pointed beard, which is turning grey. He is self-possessed and quiet in demeanour, but has a good deal of “fighting” material in reserve, for use when required’. Increasing ill health forced his withdrawal from public life. He died at his home in Hawthorn, Melbourne, on 4 February 1913 and was buried in Booroondara cemetery in Kew after a Church of England service. His wife, son, James, and daughter, Maude, survived him. On 12 December 1906, he had sought re-election to the Senate. Earlier, Punch had praised him as a ‘wonderful man’, applauding his plucky political approach despite poor health. It declared that Styles had served the Commonwealth and been ‘faithful in a few things’, but warned: ‘. . . there are new issues before the people. Socialism and sectarianism are forces yet ungauged. Senator Styles stands before the bar of a new public opinion to account for his stewardship. Maybe he will satisfy it; maybe he won’t’. He did not and his defeat can be seen as part of the decline of the protectionist forces in Victoria. Geoff Browne, ‘Styles, James’, ADB, vol. 12; James Styles, Testimonials in Favour of James Styles and Comments on Mr Mansergh’s Drainage Scheme for Melbourne and Suburbs, Neale and Co., Williamstown, Vic., 1891; Table Talk (Melbourne), 3 November 1894, p. 9; Punch (Melbourne), 16 August 1906, p. 224; Australasian (Melbourne), 8 February 1913, p. 327; Herald (Melbourne), 4 February 1913, p. 8; Age (Melbourne), 5 February 1913, p. 9; Argus (Melbourne), 5 February 1913, p. 13. Punch (Melbourne), 16 August 1906, p. 224; Lynne Strahan, At the Edge of the Centre: A History of Williamstown, Hargreen Publishing Company, North Melbourne, 1994, p. 63; Melbourne and Metropolitan Board of Works, Notice Papers, Minutes, Returns, Reports and Memoranda for the Periods 1891–1902, [The Board], Melbourne. James Styles, A Lecture on Sanitary Reform for Greater Melbourne, Clark & Co., Melbourne, 1888; VPD, 11 December 1895, pp. 4075–4091, 4 November 1896, pp. 3054–3055, 22 July 1897, pp. 684–689; Table Talk (Melbourne), 18 April 1901, p. 13. CPD, 30 January 1902, pp. 9448–9449, 1 June 1904, pp. 1746–1759, 7 October 1902, p. 16483, 15 October 1903, pp. 6169–6174, 14 December 1904, pp. 8419–8421, 31 July 1903, pp. 2910–2914, 19 March 1902, pp. 11012–11020, 30 January 1902; pp. 9448–9449. CPD, 29 May 1901, pp. 371–378, 6 May 1902, pp. 12283–12311, 9 September 1902, pp. 15839–15840, 25 June 1903, p. 1371. Reid had been appointed to replace Sargood in January 1903, but section 15 of the Constitution, as it was then framed, provided for a replacement Senator to be elected for the remaining term of the casual vacancy at the first available election. CPD, 8 September 1904, pp. 4382–4384, 3 June 1903, p. 415; Tocsin (Melbourne), 21 February 1901, p. 4, 28 February 1901, p. 4, 21 March 1901, p. 4, 28 March 1901, p. 5. VPD, 18 August 1897, p. 1534; CPD, 6 February 1902, p. 9741, 21 September 1905, pp. 2559–2581; Punch (Melbourne), 16 August 1906, p. 224. This biography was first published in The Biographical Dictionary of the Australian Senate, vol. 1, 1901-1929, Melbourne University Press, Carlton South, Vic., 2000, pp. 282-285.